The Central Ohio Section of ASHE is currently accumulating funds for our upcoming scholarship program. Please contact Treasurer under Contact Us if you are interested in donating to or serving on the Scholarship Committee. 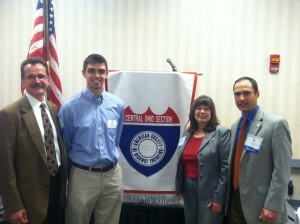 Central Ohio ASHE also participates in the State Science Day. 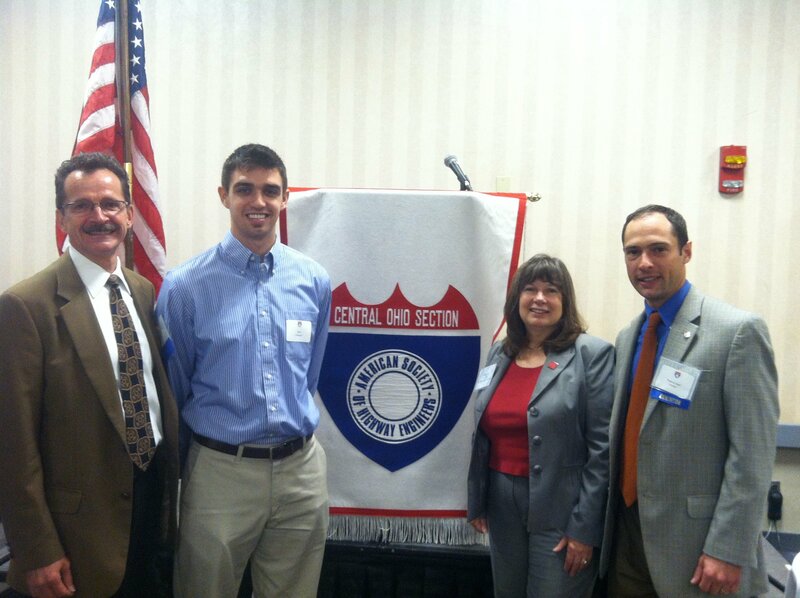 Pictured from left to right: Ron Mattox, Sean Oatman, Professor Carolyn Merry, and Patrick Herl. Mr. Sean Oatman is a 4th year student at the Ohio State University in the College of Civil, Environmental and Geodetic Engineering. He has demonstrated a serious interest in the Transportation industry through his coursework and experience working as a Co-Op with MS Consultants and the Butler County Engineer’s office. He plans to work as a Civil Engineer after graduating next Spring.